The Temples of Bagan in Myanmar is our fifth stop in Journeys to Discovery. Most of these magnificent historical temples were constructed between the 11th and 13th centuries, in the prosperous Kingdom of Pagan. 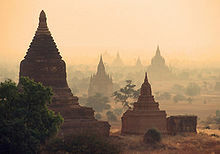 During this era,well over 10,000 Buddhist temples, pagodas and monasteries would be built in the Bagan plains alone. In the modern times, only around 2,200 of these impressive structures remain. The closest comparison that can be made in the size of these constructions and the huge geographic area they encompass, is Angkor Wat in Cambodia. It was the third stop in our series. Bagan is noteworthy not only for the sheer size and number of religious edifices, but also for the astounding architectural achievements that these buildings represent. Their significant contribution to overall Burmese temple design, demonstrates the skill and talent of these traditional craftsmen. The construction and shape of each building in itself, takes on a highly significant spiritual meaning for the followers of Buddhism. This archeological treasure is located on the banks of the Ayeyarwady (Irrawaddy) River. Here a traveler will find the largest concentration of Buddhist temples, pagodas and stupas in the world. Of course many of them are presently in ruins, and the government lacks funding for a full restoration of the site. Bagan’s prosperous economy built over 10,000 temples between the 11th and 13th centuries. The temples that remain, no longer present the vibrant colors that these structures displayed in the past. Like the classical buildings in ancient Greece and Rome, the original look has long passed into history. In Bagan, the loose particles of dust and sand have over the centuries, peeled off much of the stucco coating of these impressive constructions. So what the tourist sees today, is the brick under-structure, which has a reddish and rusty look. When the rays of the sun hit these monuments, the visitor will often observe an almost dark golden patina. It is especially beautiful during the sunrise and sunset. The original Bupaya seen here in 1868 was completely destroyed by the 1975 earthquake. A new pagoda in the original shape, but gilded, has been rebuilt. 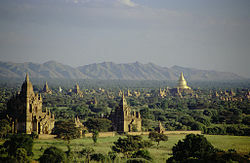 According to the Burmese Chronicles, Bagan would be founded in the 2nd century C.E. The area would finally be fortified in 849 C.E. by King Pyinbya. He according to the accounts, was the 34th successor of the founder of early Bagan. Most historians on the other hand, believe instead that Bagan was started in the mid to late 9th century by the Mranma (Burmans). These people had entered the Irrawaddy valley around this period of time, from the Nanzhao Kingdom. In the mid 9th century King Anawratha would unify Burma under Theravada Buddhism. It would be during this era, that Bagan first became a central focus in the development of the country. From 1044 to 1287, Bagan was the capital as well as the political, economic and cultural center of the Pagan Empire. The culture was totally dominated by religion. During these 250 years, Bagan prospered and grew in size. 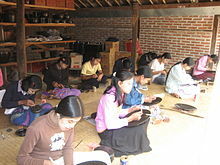 It became a center of learning for both religious and secular studies. Students and monks became attracted to the Bagan area, from regions as distant India, Sri Lanka and the Khmer Empire. During this era, the site that would eventually encompass over 40 square miles (104 sq. kilometers) which would become a vast construction field, for numerous temples and other types of buildings. Today, the majority of the temples are confined to an area of about 16 square miles. The fame of these religious edifices began to spread across Asia even during medieval times. Their renown became so widespread, that even the famous traveler Marco Polo, felt compelled to comment on their incredible majesty. He described Bagan as a gilded city alive with tinkling bells and the swishing sounds of monks’ robes. Although it is disputed among historians, that he himself ever visited Burma. Marco Polo goes further by retelling the tale of a king from Bagan, who built two famous towers. Built to commemorate his reign, one was golden and the other one was silver. Polo reports that the Mongol Emperor Kublai who he faithfully served, ordered his troops not to plunder these structures, when they finally captured the city. If the story has any truth to it, either Ananda Temple or Shwesandaw Pagoda might well be one of these literary famous towers. 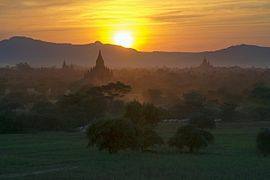 Another Image of Bagan at Sunrise. The Golden Age of Bagan did indeed, end in 1287 when the Kingdom and maybe the capital city itself, was invaded and sacked by invading Mongol forces. These intruders from both China and Mongolia would continue to attack and disturb the Pagan Empire, beginning in 1277 and ending in 1301. Recent research may indicate that the Mongols may have not actually reached Bagan, but the damage to the Empire was unmistakable. The population of Bagan, which was anywhere from 50,000 to 200,000 at its height, was now reduced to a mere fraction of its original size. Old palace site in Old Bagan. A new completely conjectural palace has been reconstructed since 2003. The remaining citizenry would live among the ruins, of a once great metropolis and religious center. The area would never regain its former status, nor would it become a major population center again. Bagan formally ceased to the the capital of Burma at the end of 1297. It was then, that the Myinsaing Kingdom became the rising power in northern Burma. In modern times, the remaining population was finally forcibly moved out by the government in 1998. These former residents can be found a few kilometers to the south, in the town called New Bagan. Despite the historical significance and the incredible collection of Buddhist temples that can be found at Bagan, it is not listed as a World Heritage Site. The explanation given by UNESCO is that in more recent times, some of the structures have been rebuilt in what they call an unhistorical manner. 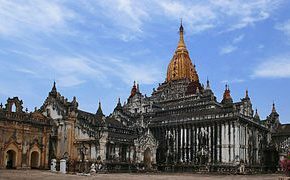 Regardless of its present cultural designation, the wonders of Bagan compare favorably to Angkor Wat, the Pyramids of Egypt, Abu Simbel, the Forbidden City, the Pyramids of Teotihuacan and similar sites. Ananda is considered the most beautiful temple in Bagan. It possesses 4 large gold Buddha statues placed in four directions. Chanthar Pagoda located nearby Ananda, has a very unique architectural style. There is a harmonious blend between bricks and wooden roofs with faded ancient colors that have blended well over time. Sulamani is the temple built by king Narapat in 1183. This temple is exquisitely decorated on the outer walls of the temple. Sulamani is unique from other Bagan edifices, in that beautiful paintings can be seen on the walls and ceiling within the temple. Once inside, it is almost a surreal experience. Dhammayangyi Temple is the largest temple in Bagan with a pyramid shape. The structure was built in 1167 by King Narathu, after he murdered his own father. Thatbyinnyu Temple built around 1150 by Sithu I. At 61 meters, the tallest temple in Bagan. Thatbyinnyu is the highest temple. It features an array of tiles painted with various colors. Its golden spires and extensive ornamentation, make for an impressive view across the land. Shwesandaw earned its popularity, because tourists claim it is the best place to watch the sunrise and the sunset. Lawkachanthar – Thagyarhit – Thagyarpone are the among the most popular clusters of construction as identified by visitors. 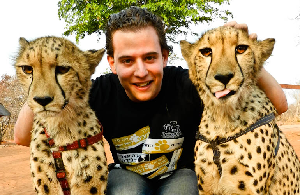 They are usually seen at the beginning of a tour and are in close proximity to each other. 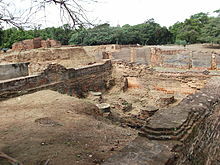 Htilo Milo was built by King Zeya Theinkha. The temple is known for its architectural symmetry and balance, as well as the legend of the white umbrella and its role in the royal succession. Shwezigon Pagoda built in 1102 by King Anawrahta and King Kyansittha. Bupaya Pagoda gives the traveler a different perspective on ancient Bagan. It is located directly on the Irrawaddy River and can be easily reached by taking a Myanmar river cruise. It has been restored, following a massive earthquake in 1975. 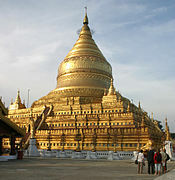 The Golden Pagoda of Shwezigon is often compared to the golden Shwedagon Pagoda, in the Myanmar capital of Yangon (Rangoon). According to legend, more than 30 tons of gold was used in its construction and thousands of precious stones were mounted on the top of the edifice. 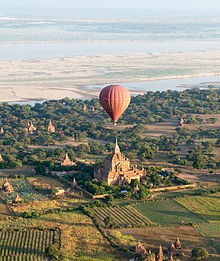 The Cultural Authority of Bagan sets the rate of admission for all foreign travelers upon arrival. As of January 2017,it is the equivalent of $20 USD ( United States dollar), 20 Euros or 25,000 Kyat in (local currency). On line ticketing is available through Sara Travels and Tours the (Bagan Travel Bureau). The Burmese people consider the temples of Bagan to be sacred. Therefore travelers should dress respectfully, this includes both men and women. This means knees and shoulders need to be covered. It is even posted on some of the more popular temples, but many Western tourists continue to ignore Buddhist sensibilities. To enter the temples you will be expected to take off your shoes as a sign of respect. By Plane – Visitors can fly to Bagan from Yangon or Mandalay. The airport locally is know as Nyaung U (IATA NYU). Nyaung U Airport is the gateway to the Bagan region. The airlines that service this route are Golden Myanmar Airlines, Mann Yadanarpon Airlines, Asian Wings and Myanmar National Airlines. The latter two offer instant online booking. Airline Ticket prices start around $120 USD. Make sure you already have a Bagan Archaeological Pass or plan to purchase one at the airport at the aforementioned price. You will not be permitted to leave the building without one. There are no currency exchanges at the local airport, so have a ready supply of local currency ready for your transportation and personal needs. To New Bagan it will take you about 15 to 20 minutes and will cost from between 7000 – 10,000 kyat. Some of the hotels will provide free pick up from the airport. By Train – The trip will take about 18 hours from Yangon. Leaving in the late afternoon and arriving the following morning. To be comfortable, it is recommended that you purchase the $50.00 USD luxury sleeper. The train includes a restaurant cart. From Mandalay to Bagan there are two daily departures. The trip will take 7 to 10 hours. You can buy the tickets directly at the train station and can expect to pay the equivalent of $6.00 USD. By Bus – A variety of options exist that leave at various times. From Mandalay the trip will be as little as 5 hours, if you take the upgraded service (8,500 kyat). One of the main four Buddha statutes inside the Ananda. From Yangon the journey will take about 9 hours. It cost about 15,000 kyat with the regular service. The VIP Service, which will be a more comfortable trip will cost 18,500 kyat. By Boat – There is a daily service that is labeled express and will make the trip from Mandalay to Bagan in 8 to 9 hours. It usually leaves at 7 in the morning and costs about $45 USD. 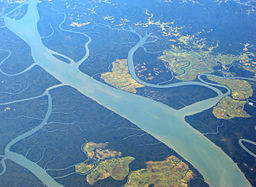 Bird’s eye view of the Irrawaddy River. There is a slower ferry that can be purchased for only about $10 USD, but will take 14 to 17 hours. During the dry season (April, May, June) when the level of the Ayeyarwady river is lower, the express service will be shut down, and the slower boat could easily get stuck on a sandbar. Upon Arrival – Given the extent of the archaeological area, you will need to make some sort of transportation arrangements. You can rent a horse cart for the day for about 15,000 kyat. Not the most comfortable ride, but you will be sheltered from the sun and rain. This is an advantage in the hot and humid climate of Myanmar. One can also rent an air conditioned taxi for about 35,000 kyat. Highly recommended, due to the heat of the day or periodic rain. A driver who speaks English can be found easily enough. You can also rent a bike for as little as 1500 kyat. This mode of transportation is not recommended, due to the heat during midday. During the wet season you will be looking for shelter and in the dry season the sandy pathways will be difficult to traverse. Electric bikes are available for rent from between 3,000 and 8,000 kyat,depending if you get one from a shop or from your hotel. It will allow you to easily be there, for the incredible views at sunrise and sunset. Quality and speed of the bikes may vary greatly so be selective. Highly recommended – Is to take a hot air balloon ride at sunrise. The two firms that offer the service, operate from October until April. Balloons over Bagan will charge about $320 USD and Bagan Ballooning for $350 USD, but there will be fewer people in the basket.